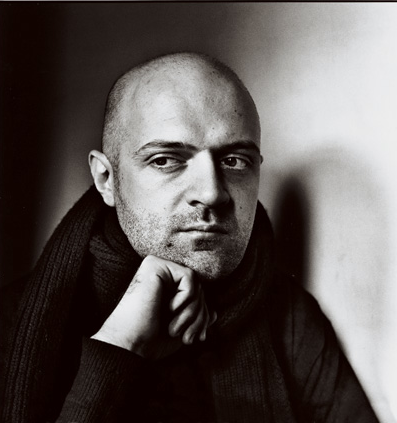 Hussein Chalayan, of Turkish Cypriot origin is one of the most daring fashion designers to have existed to date. His projects are all based on the incorporation of several moods of suspense, futurism and the combination of contemporary interior design with architecture and geometric structures. The majority of Chalayan’s inspiration comes from the desire to represent power and magic through a woman’s body. 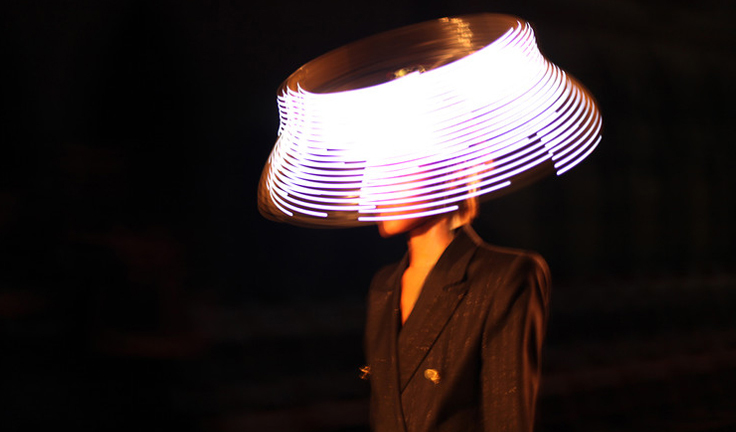 His status has been set in the fashion industry as a futuristic designer that creates accessibility through fashion. 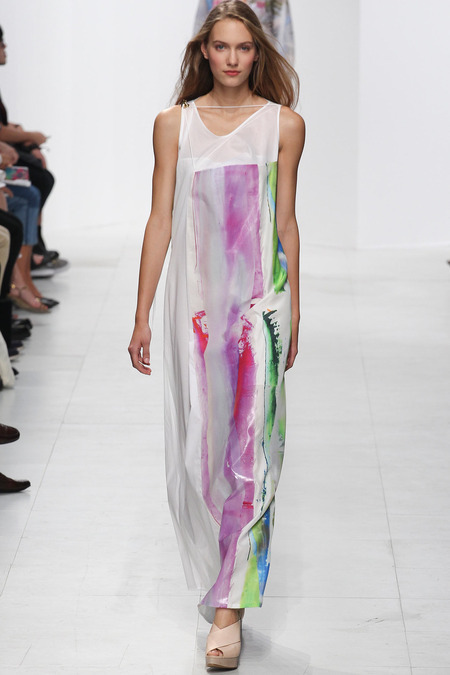 In my opinion, Chalayan is the perfect mix between smart and sensual – With the newest runway collection (SS 2014), the collection emits an ora of fresh, summery and pantone colored outfits. “Conceptual, two-in-one beachwear—from dresses resembling striped terry-cloth towels to a jumpsuit that suggested an undone wetsuit over a maillot” – Vogue. One of my favorite projects has to be his Spring/Summer 2001 collection that consisted of house furniture that becomes wearable. My favorite item has to be the center coffee table that transforms into a wearable skirt. 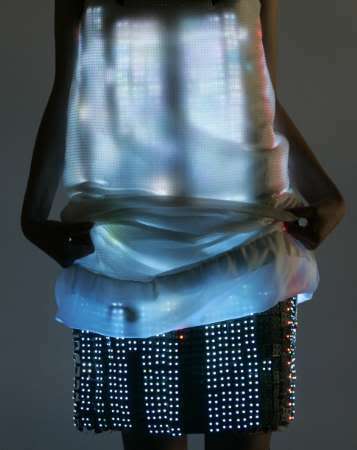 Runway collections featuring LED lights, Swarovski crystals and robotic dresses are what Chalayan is best recognised for. 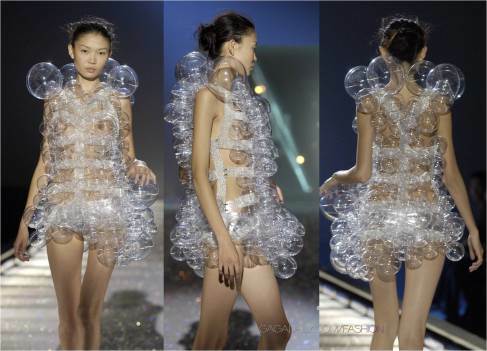 However, the “over-the-top” projects that Chalayan is famous for are not the main basis of his work. The designer has a line of wearable garments, and in 2011 released a diffusion line under the name of Grey Label. As of 2008, Chalayan has been officially appointed as the Creative Director for the German brand Puma. I am very much intrigued by how designers are constantly creating something new. In my opinion, the fashion industry is one of the most competitive industries to have existed, and only with the drive and ability to constantly create something new and literally “think out of the box” will designers be successful at constantly pushing forward. 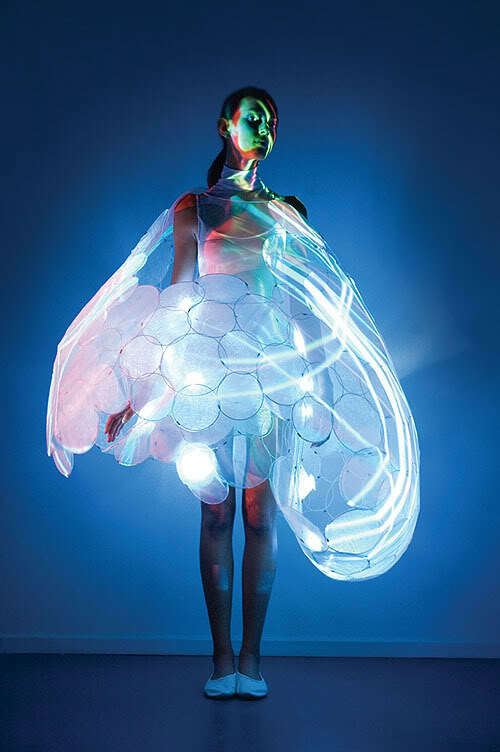 Designers such as Hussein Chalayan that are futuristic, urban and contemporary are so refreshing in the industry. When I observe trends or look at runway shows, I strive to discover something new and different. The ability and desire to constantly innovate and exceed beyond potential creativity and capability is what I would define as a true “talent”.